Nowadays, listeners expect to be able to find their favourite radio station online – it’s a fantastic opportunity to engage your fans, share updates, and improve your online presence. Some of you may already have a website for your radio station; if not, you should consider setting one up.However, websites don’t automatically drive engagement – the way your website looks matters. Whether you’re starting a website from scratch or you want a better response from your existing site, it’s crucial to customise your website to make it functional, attractive, and user-friendly. 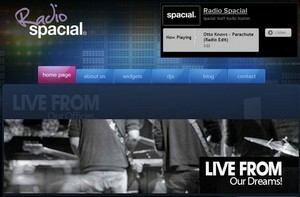 One of the most important factors in creating a professional, eye-catching radio station website is the colour scheme. Colours can say a lot about your brand, which makes this first decision crucial. Black, for example, signifies power and sophistication, whilst orange is thought to be friendlier, setting your brand out as energetic and unique. Harness the psychology of colour, and your web design can play a key role in communicating with your fans. For more information, check out this useful guide. When using a CMS website such as WordPress, Joomla or Drupal, you’ll be given countless themes to choose from. However, remember that no matter how fancy a theme may look, it must be responsive on all devices (including tablets and smartphones), and easy to customise with your own branding and background. There are lots of themes designed specifically for radio station websites; here are a few popular WordPress themes to inspire you. Background images can have a nice visual impact. However, be careful when choosing photographs or illustrations – you don’t want them to overshadow your branding and distract from other features onsite. For best results, choose a subtle background that works on all screen resolutions. Make sure the file size isn’t too big, as this could slow your site down dramatically. Tell the story of your station and share key information with readers, by adding interesting content to your site – particularly the home page where visitors will land. Instead of creating lots of blank ‘content coming soon’ pages, start small and add new pages as you go. Show slots, upcoming events, competitions and testimonials can all receive dedicated pages later as you grow. However, content will only drive results if it’s readable, so make sure your font is easy to read across all devices. Google Web Fonts is a useful tool for this. Creating a website to complement your radio station and social media is great, but make sure you link between your online platforms, to boost their profile. Add social media widgets to your website, add your URL to your social media, and be sure to promote both on air. Put some personality into your online presence and direct your newfound fans to a show-stopping website, by choosing a colour, theme and design that really sums up your station. Keep it simple whilst giving your brand an identity, and be sure to install Google Analytics so that you can learn about what works well on your website.